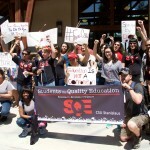 Fighting for a just and quality education! 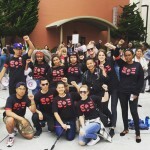 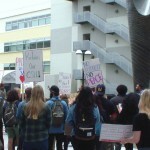 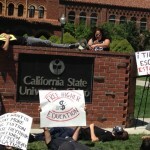 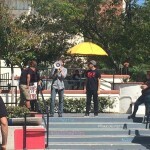 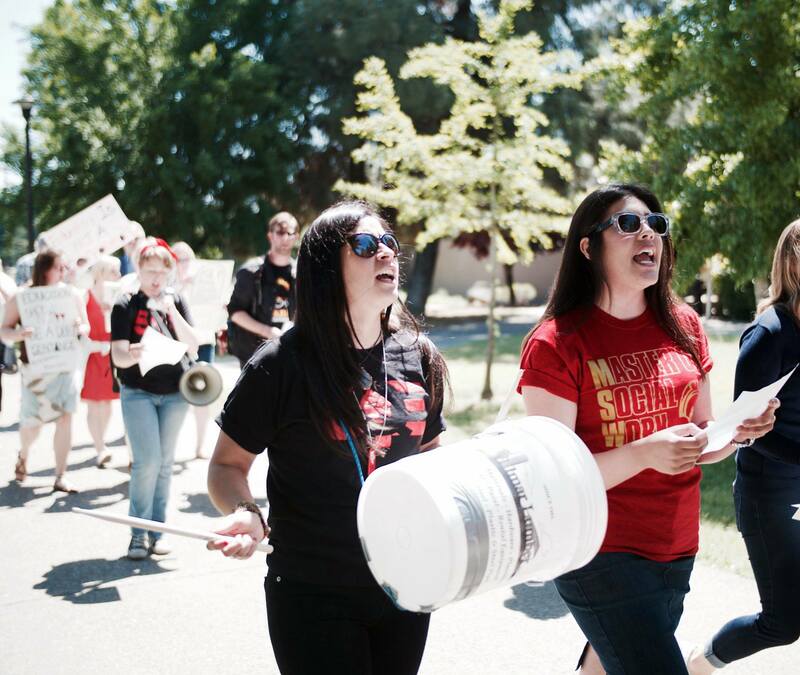 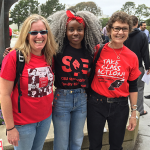 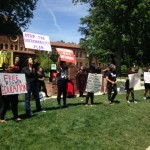 On May 2, students throughout the CSU celebrated May Day by speaking out for the public higher education that we deserve. 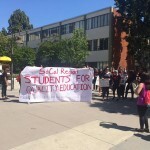 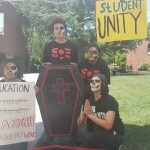 We spoke out against tuition increases and cuts to Ethnic Studies, against a lack of state funding AND the misplaced priorities of the CSU administration. 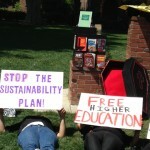 We spoke out with a vision for a system of free public higher education–a system that we know is possible. 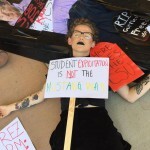  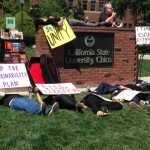 We know that that CSU Board of Trustees cannot in good faith implement a “sustainability model” that sustains the CSU on the backs of students. 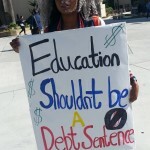 We are already paying too much for a lower quality education. 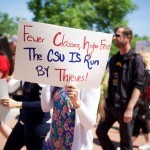 We know that true leadership in the CSU would mean administrators (1) advocating strongly for increased state funding rather than letting legislators know that they are willing to let students share the cost burden, (2) cutting down on unnecessary administrative bloat in order to prioritize classroom learning, and (3) looking for long-term, creative solutions to fund free public higher education for all students in CA. 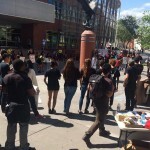 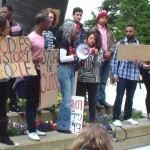 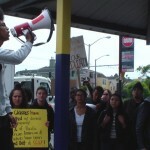 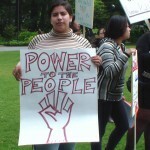 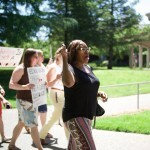 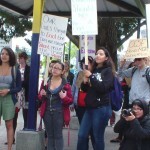 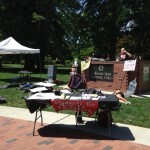 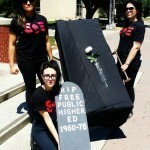 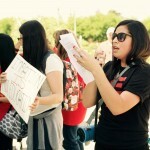 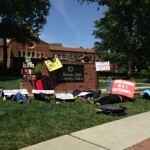 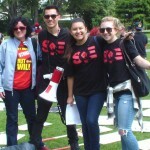 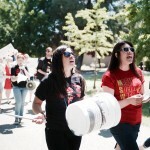 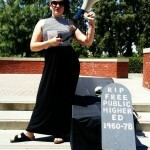 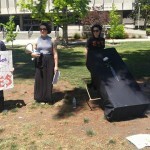 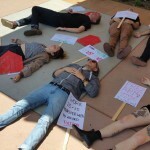 Below are pictures from our May 2 Day of Action. 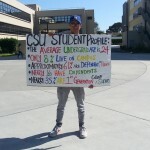 Prev“Reclaim the CSU” Day of Action is Right Around the Corner!NextOctober 17-21 is Free Higher Education Week of Action!